Newlaithes Infant school is a two-form entry infant school located in the Morton area of Carlisle. We admit up to 60 children each year. The larger than average classrooms are grouped in pairs, each pair having a separate entrance and its own clean and bright toilet block. Apart from our six bright, attractive teaching spaces we also have an additional classroom, a spacious hall, library, medical room, office accommodation. Our nursery opened in September 2017. Newlaithes Infant School is a caring school where we aim for pupils, staff, governors and parents to work together to make learning fun. We work strongly as a team, creating a supportive and challenging environment - a place that is stimulating and safe for pupils to learn and progress and develop a lifelong love of learning. We aim to provide an environment where all children are happy. Sharing, being kind to others and respecting people and property are strongly emphasised. We have an ICT suite, with 16 computers, ipads and an interactive learning table. Outside, we have extensive grounds including an inclusive pirate play ship, an adventure trail, sandpit and a wildlife walk. There is an outdoor quiet area used to support play and learning during playtime and across the curriculum. 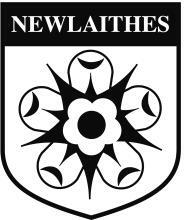 Newlaithes Infant School is committed to meeting the needs of children with special educational needs or those with disabilities to the best of our ability. We aim to work closely with parents and carers to ensure the child’s needs are met. We are approachable and have the interests of all children at the forefront of all we do. · Before children start school with us we work closely with our feeder nurseries to identify children with additional needs. We then work with the nursery as well as parents and carers to try to meet the needs identified. · All staff members are aware of the different developmental stages children go through. If they have any concerns they will be raised in school and with parents and carers. · If parents and carers have any concerns about their child’s development they are encouraged to speak to their child’s teacher. Mrs Willows, the headteacher, is also readily available to speak to. · Your child’s class teacher is responsible for the education of all children in their class, including those with special educational needs (SEN). · An Individual Education Plan (IEP) will be written to outline a clear set of outcomes and success criteria. This is created with input from parents and carers as well as school staff. · The school’s Special Educational Needs Coordinator (SENCO), Mrs Edmondson, offers support where appropriate. · Additional help may be offered within or separate to the class; in a small group or on a one-to-one basis. · High quality teaching, differentiated for individual children is a high priority in school. · This will help your child to access the curriculum. · We pride ourselves on our open door policy, which means you can speak to a member of staff frequently about your child. · The progress of each child is carefully monitored and tracked on a regular basis. The headteacher meets all teachers termly to discuss individual pupil progress. · Progress and targets are discussed as part of the school’s normal reporting arrangements. · In some cases your child may need an Individual Education Plan (IEP). This will be discussed and shared with you. For some children with lifelong needs and Education Health and Care Assessment may be requested with advice and support from external agencies. · When appropriate parents and carers are signposted to relevant agencies within the community who can offer further support to you and your child. · We use a wide range of small group interventions to help or children, such as our nurture group. · Medicines are administered in line with statutory guidance and only after completion of a health care plan. · We work hard to maintain high attendance in school, and we support positive behaviour management. · Children’s views are gathered regularly about general issues. Issues relating to SEND would be discussed at an age appropriate level with understanding. · There is a wealth of experience and expertise in our school staff, including those trained in Reading Intervention, speech and language, team teach, behaviour management and paediatric first aid. · Referrals can be made to other agencies including the Child and Adolescent Mental Health Service, Barnardos, East Cumbria Family Support, educational psychologists and specialist advisory teachers. · Individual staff development is considered as part of our annual performance management cycle. This allows for staff to pursue specialist areas of interest, such as speech and language or autism. · Staff training has been held on attachment issues and speech and language development. We support all children to enable them to be involved in activities outside the classroom. We have a wheelchair ramp at the main entrance into school. There are steps within the school building. There are two disabled toilets in school. · We work closely with our feeder nurseries and our associated junior school. · Yearly transitions are carefully managed as part of our Investors in Pupils programme. · We liaise with new schools to discuss children moving. In the summer term our SENCO meets the SENCO at the junior school to discuss the needs of children with SEN. The headteachers meet to discuss individual children too. · Individual needs are taken into account. · We aim to allocate resources appropriately to meet the needs of all children with special educational needs. The SEN budget is allocated each financial year and is used to provide additional support or resources dependant on individual needs. These decisions will be made based on discussions between all interested parties, including parents and carers. All parents and carers are considered members of our Parent Teacher Association. Parents and carers are invited to become school governors, when vacancies arise. Parent helpers are welcomed into school if they can give us a regular commitment of time. If not, we welcome parents and carers to help on school trips.